Summary: Forza Horizon 4 is a revolutionary experience on the XBox One and Xbox One X that takes driving games to a whole new level. 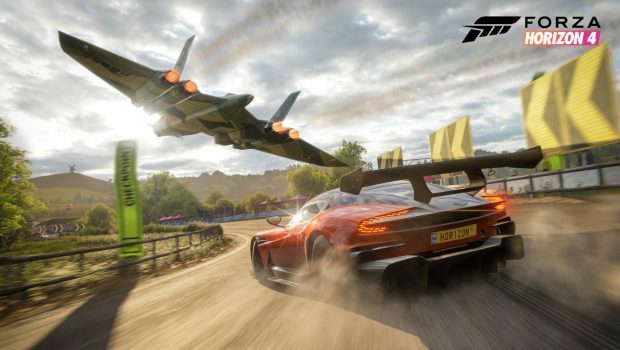 One of the most anticipated racing titles of 2018 has arrived on the Xbox One/X and Windows 10 PC’s with FORZA HORIZON 4 that is easily one of the most visually impressive games of the series and probably in the console world. 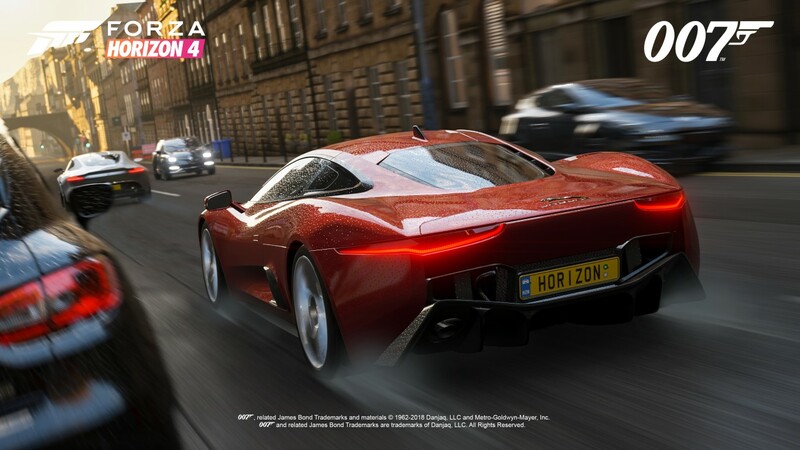 Developed by Playground Games (who did an awesome job) and published by Microsoft Studios, Forza Horizon 4 is the 11th installment of this series and this time it’s set in the United Kingdom which is perfect for this open-world racer. 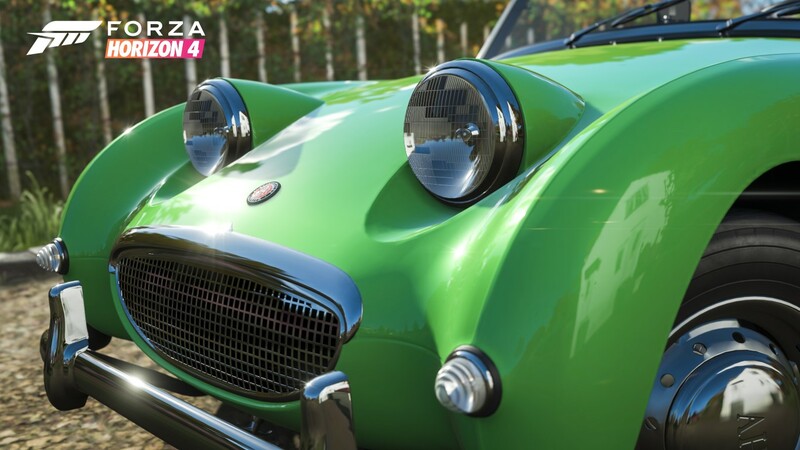 So besides the picturesque locales of the UK which look amazing in 4K HDR, this current version of the Forza series introduces a clever twist with the four seasons that include autumn, winter, spring and summer. 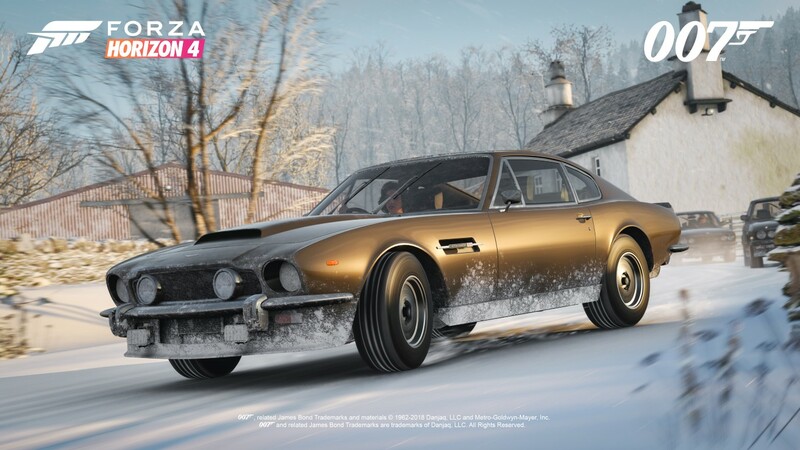 This means that you’ll experience all four seasons as you make way through this game and whether that’s racing on a beautiful summer’s day or driving through the snow, these landmark weather events have been flawlessly incorporated into the game courtesy of the dynamic weather system. 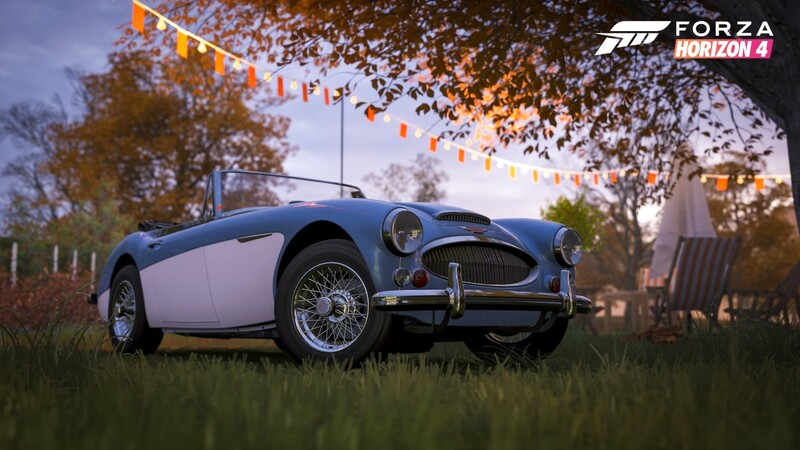 Further adding to the gameplay is that Forza Horizon 4 offers players over 450 licensed cars which really increases the longevity of this title, especially with the fluid gameplay mechanics that caters for all levels of expertise… then you have the amazing multiplayer component which takes this game to another level. Explore Beautiful, Historic Britain. This is Britain like you’ve never seen it. Discover lakes, valleys, castles and breathtaking scenery in stunning HDR and native 4K on Xbox One X and Windows 10. Seasons Change Everything. Master driving in dry, wet, muddy, snowy and icy conditions in a shared world where everyone experiences changes in time of day, weather, and seasons together. Collect, Modify and Drive over 450 cars. Enjoy the largest and most diverse Horizon car roster yet, including over 100 licensed manufacturers. Race. Stunt. Create. Explore. In the new open-ended campaign, everything you do progresses your game. Choose your path to become a Horizon Superstar. Go it Alone or Team Up. Play solo or cooperatively. Join Team multiplayer for casual fun or Ranked Teams to take on the best in the world. 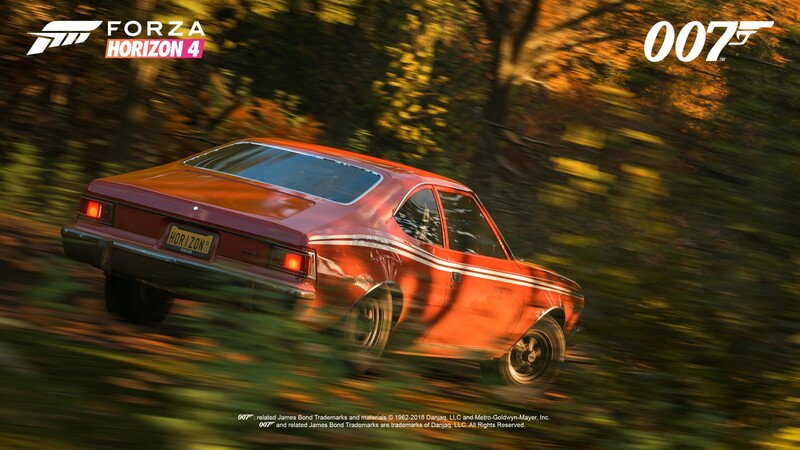 Before you start the game, Forza Horizon 4 gives the player a taste of things to come as they race through the four different seasons before finally ending up at the festival itself. 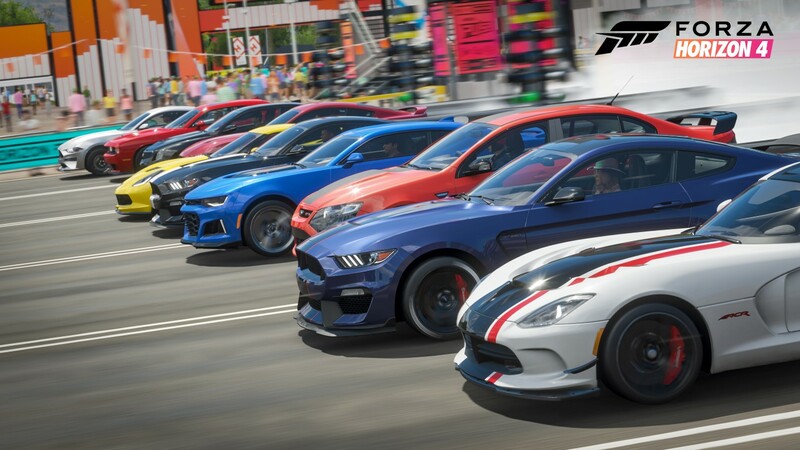 Once here, you need to select your avatar, including what car you will start your career to become a Forza Horizon Superstar. 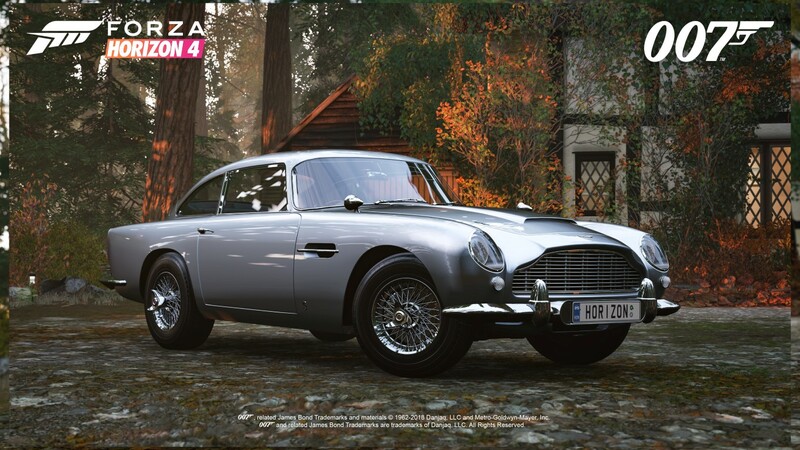 So as you progress, you will be given access to more and more cars, including different car classes and given that this game is based in the UK and if you’re a James Bond fan, there is a pack available to use the cars from this franchise which is totally cool. 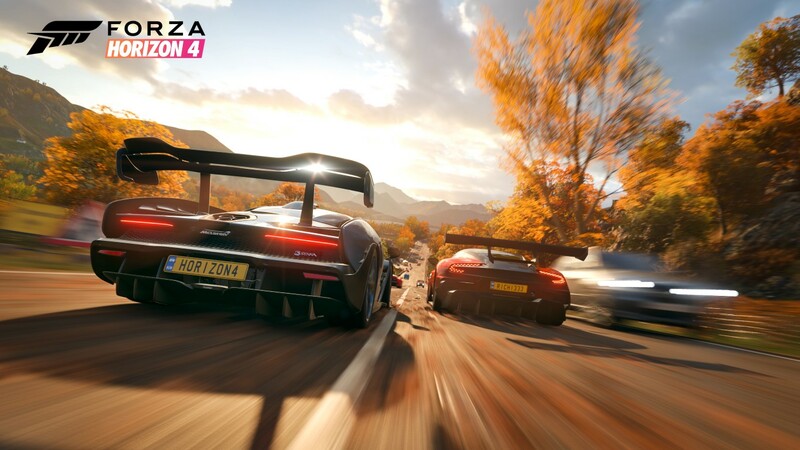 Like the previous game, Forza Horizon 4 can be played offline or online with up to 72-players which makes for some exciting times ahead. Both modes work well, however if you want to enhance your experience, playing with others online does create an excellent community approach, including the ability to join teams plus a ranking system. 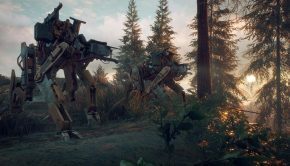 Developers Playground Games also tweak the series and thankfully in a good way which has been dubbed as race, stunt, create and explore. Given that, there are a variety of ways you can race from circuit to roads and off-road but best of all, each of these surfaces and cars control differently which really helps in drawing you into this game. 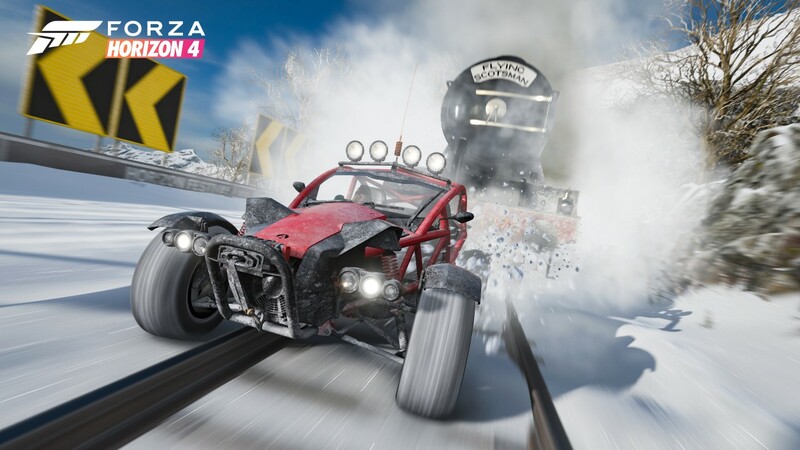 The other racers that you challenge off-line also use the drivatars system which is based on the skills of real-world players, however you can adjust the difficulty if things are too easy or challenging. Then you have the seasonal changes which adds another layer on top of this because driving on a beautiful summer day compared to a wet autumn day is totally different or sliding on ice in winter can be an even tougher challenge. Seasons also change once a week which definitely keeps the gameplay quite fresh. Adding to the gaming mechanics are points which are awarded to the player like drifting around corners or doing crazy things like getting too close to oncoming vehicles or engaging in crazy events where you race against the Flying Scotsman Train and even a jet. 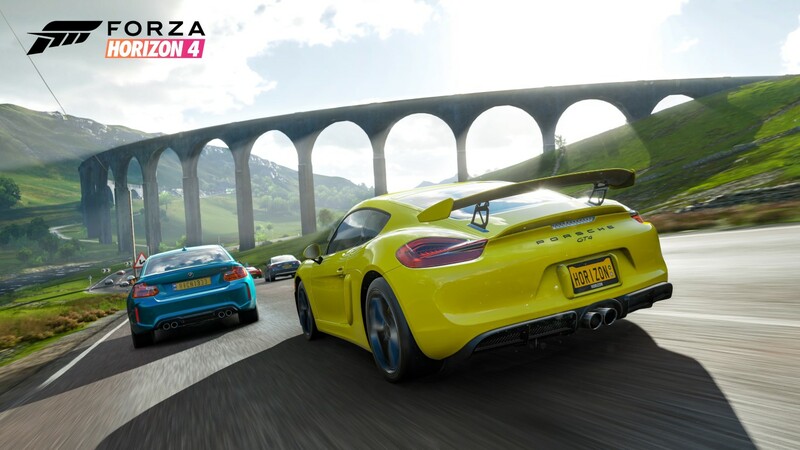 Those that like challenges will be pleased to know that Forza offers daily and seasonal challenges in order to win bragging rights with other players and given the amount of content in the game, the developers keep the player well informed as they ‘level’ up in each of the different racing categories. Furthermore, you are awarded credits which can be used to purchase additional vehicles and there’s even an auction house where you can buy and sell. Petrol heads will be pleased to know that cars can be upgraded and fine-tuned as well or you can just tell your virtual mechanic what you want to achieve. 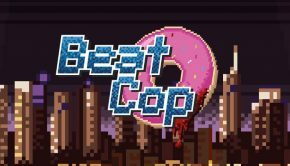 Another cool aspect with the gameplay are the stunts that you can perform that are very entertaining and some of the jumps are bigger and badder than a Hollywood film. Needless to say, the gameplay is a good balance or arcade and simulation and new comers are well supported with assists and easier car handling. 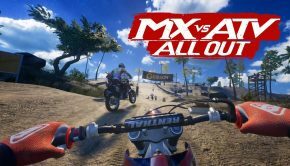 Although you can play the game solo which is still a thoroughly enjoyable experience, the multiplayer component definitely gives you new challenges and when you race against real-world players, it can be tougher. One new feature in multiplayer is Team Adventure where you can create or join tailored races where you can choose car classes, circuits and even the weather. 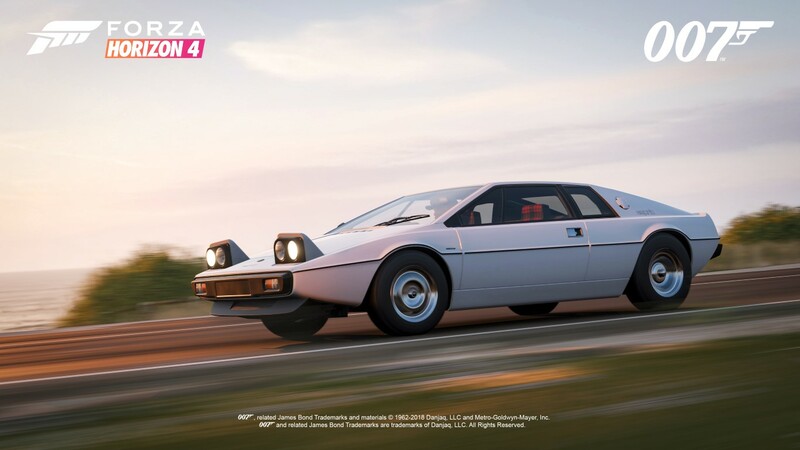 Another interesting new feature is the ability to buy properties around the world of Forza 4 so rather than have a fixed garage, this greatly speeds up your fast-travel capabilities. Although they are expensive, they do offer bonuses to the player like additional wheelspins that allow you to win accessories and cars or even doubling the points you win when you face… you can even buy a castle as your property! Graphically, Forza Horizon 4 looks amazing on our Xbox One X and when I mean amazing, I do mean amazing. 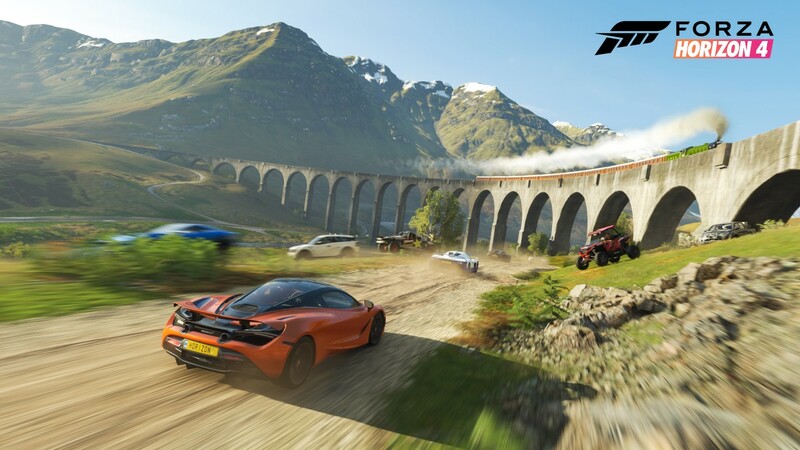 The first thing that you’ll probably notice about Forza Horizon 4 are the detailed and diverse environments that you race on which really pop on this console. This includes everything from the trees, meticulous building designs, traditional English roads and even livestock like sheep which really enhance your experience. 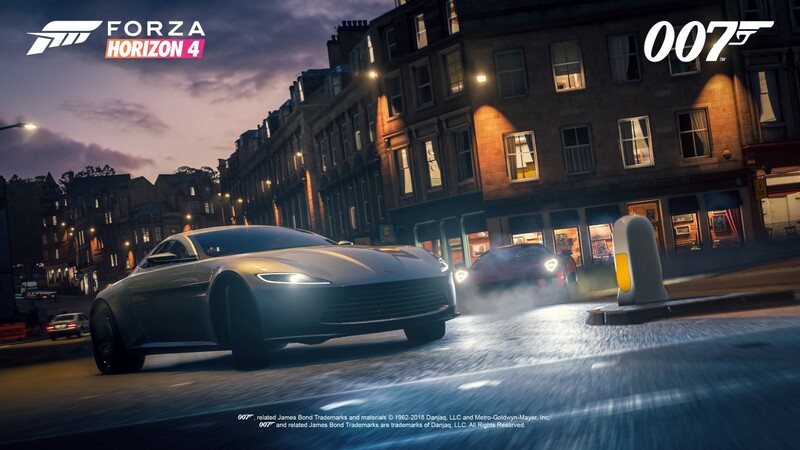 Then you have the detailed cars and of course dynamic weather effects, lighting and other special effects that easily make this one of the best looking Forza’s to date. However seeing the game run at 60 frames per second at 4K is truly an amazing sight to behold! 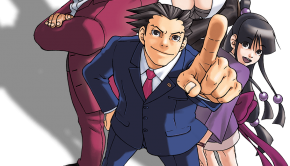 Audio, music and voice acting is equally as good! It’s great that Playground Games have not rested on their laurels but have created a game that not only looks amazing but more importantly plays well on the Xbox One/X. The gameplay mechanics work well and whether you’re playing this online or offline, there’s plenty to do and see. Given how much fun I’ve had with Forza Horizon 4, it will definitely become my go to game in the months to come, especially with its online component. 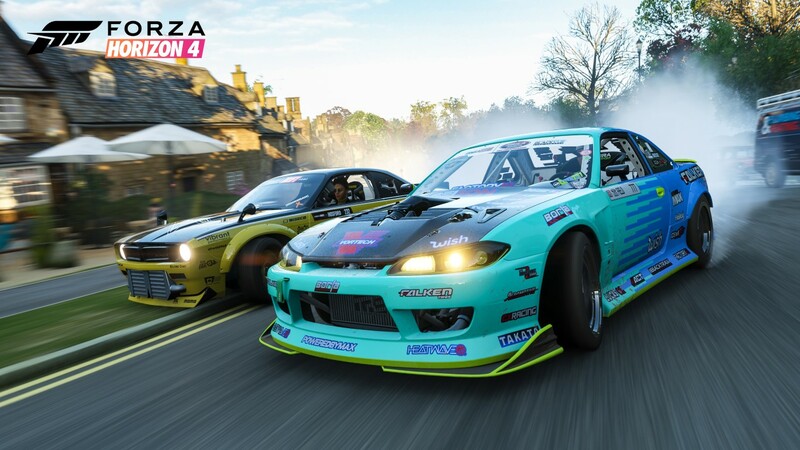 So if you’re looking for some racing fun that packs a punch, Forza Horizon 4 is definitely that game!